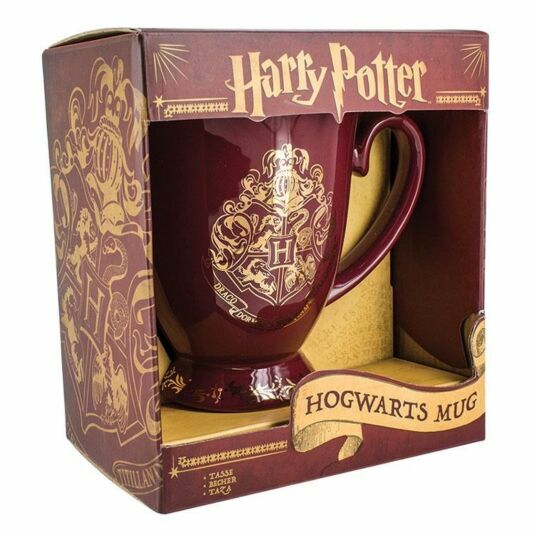 This magical goblet-shaped mug is the perfect gift for any Harry Potter fan. The mug has a curved shape with a flared foot and a generous curly handle. 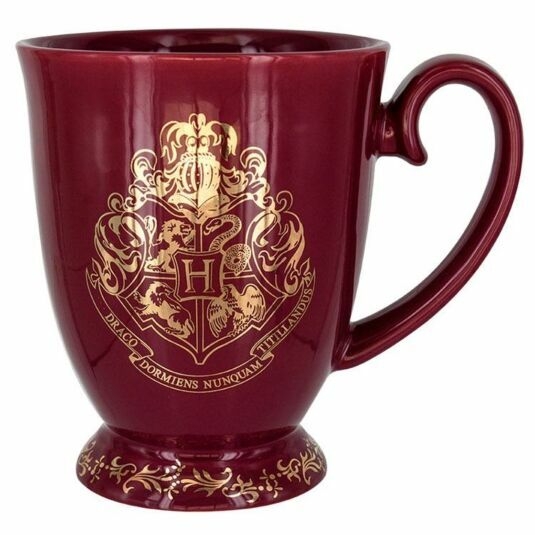 It is burgundy coloured and features a gold Hogwarts’ crest and gold detail around the base. 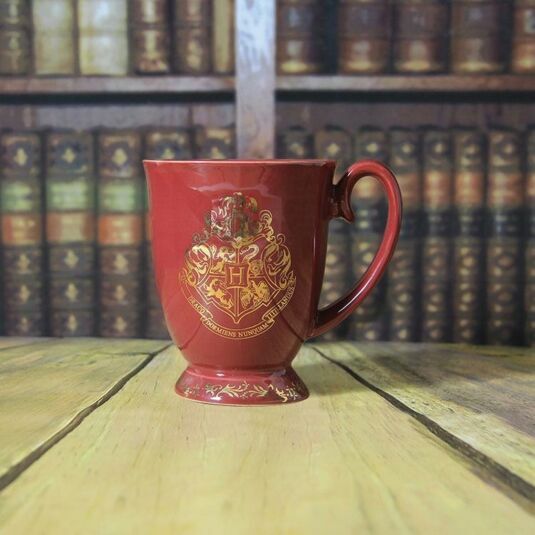 This is a must for anyone who loves the Harry Potter stories and would like to collect the memorabilia. JK Rowling’s books have become popular worldwide with millions since their first publication in 1997 and are now an intrinsic part of popular culture. This mug is an officially licensed product. A great gift for Christmas, a birthday or for any aspiring witch or wizard!